The last Friday of the holy month of Ramadan is Quds Day and in the last ten days of the month of Ramadan it is very probable that the Night of Power will fall. It is a night the commemoration of which is a practice sanctioned by God. Its value and station is superior to a thousand months under the hypocrites for it is on that night that the destiny of mankind is determined. It is necessary that Quds Day, which falls in close contiguity to the Night of Power, be commemorated by the Muslims, that it serves as the origin of their awakening and vigilance and delivers them from the indifference they have exhibited throughout history, particularly in the last few decades, so that this day of vigilance and awakening will be more valuable than decades under the superpowers and the hypocrites of the world, and the Muslims of the world will take their destinies into their own powerful hands and determine their own fate themselves. By staying awake through the night on the Night of Power and praying, the Muslims will free themselves from the shackles which bind them to anything other than God – which means demons whether in jinn or human form – and they will come to worship only God. On Quds Day, which falls in the last days of ‘the great month of God’ (Ramadan), it would be fitting for all the Muslims of the world to free themselves from the shackles of slavery and servitude to great satans and superpowers, to join the eternal power of God, sever the hands of the criminals of history from the oppressed, deprived countries and break off any covetous ties these criminals may have created. Oh Muslims and deprived of the world, rise up and take your destiny in your hands. How long are you going to sit by and allow Washington or Moscow to determine your destiny for you? How much longer must your Quds be trampled under the boots of the usurping Israelis, these worthless people whom America has put there (to see to their interests)? How much longer must the lands of Quds, Palestine and Lebanon, must the oppressed Muslims of these lands, remain under the rule of criminals while you remain onlookers and some of your perfidious rulers even make it easy for these criminals? How much longer are about one billion Muslims world-wide – and about a hundred million Arabs – with their vast lands and endless resources going to act merely as witnesses to the plunderings by the East and West and the tyrannies and inhuman massacres perpetrated by them and their petty vassals? How much longer are they going to put up with the horrific crimes perpetrated against their brothers in Afghanistan and Lebanon and not answer their calls? For how much longer are they going to ignore the use of arms and military and divine power to confront the enemies of Islam and liberate Quds, choosing instead to waste their time on political actions, conciliatory approaches to the superpowers and giving Israel time to commit its crimes? How much longer will they stand by and witness the massacres? Do the leaders of the people not know, have they not seen, that political negotiations with powerful politicians and the criminals of history will not free Quds, Palestine and Lebanon, and that every day the crimes and tyrannies will increase? 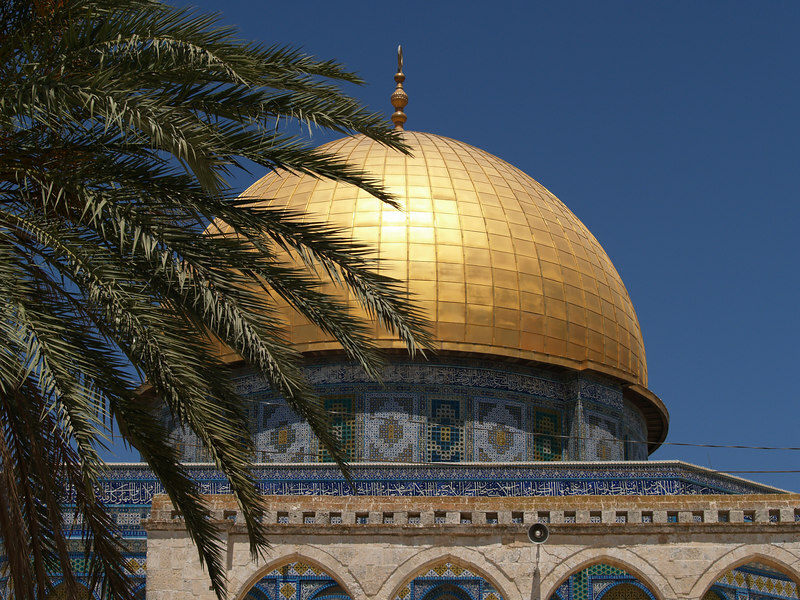 In order to liberate Quds, machine-guns relying on faith and the power of Islam must be used, and political games redolent of compromise and keeping the superpowers happy laid aside. The Muslim nations, particularly the Palestinian and Lebanese nations, must punish those who waste time with political manoeuvres and not tolerate political games which end in nothing but loss and disadvantage for the oppressed nations. How long will these myths about the East and West continue to fascinate the powerful Muslims and the hollow propaganda they trumpet over their loudspeakers frighten them? . . .
Today, despite the foreign loudspeakers and the propaganda apparatus of America, the Zionists and those who have been hard hit by the revolution, Iran is on its way towards its final constitution. This serves as an example for the Islamic and deprived countries of the world, showing them that they must discover their Islamic power and not fear the hue and cry made by the East and West, by their dependants and their vassals. With faith in God the Exalted and relying on the power of Islam and the power of faith, they should rise up and foreshorten the hands of the criminals from their lands. They should give top priority to the liberation of Palestine and honourable Quds and remove the humiliation of Zionist control, control by the American vassal, from their lands. They must keep Quds Day alive . . . It is hoped that by keeping this day alive, indifference will be obliterated, negligence eliminated and the noble nations, through their uprising, will remove from the arena some of those perfidious leaders – who, despite the Muslims and Islam, hand in glove with Israel and following the command of America, continue with their shameful political lives and their criminal existence against the interests of the Muslims – and bury them in the graveyard of history. Those usurping leaders, who in the war between the unbelievers, such as Israel and Saddam, and the Muslims have sided with unbelief and who deal a blow to Islam and the Muslims, must leave the Islamic scene and step down from their positions as rulers of the Muslims. Imam’s message dated 1 August 1981 (10 Murdad 1360 AHS). Sahifa-yi Nur, Vol. 15, pp. 73-74.